Do you know what your child’s most annoying phrase is? It’s probably, “summer is over.” This is the time when back-to-school sales kick off long before classes do. If you know what you need in advance, you’ll be able to save significant money by taking advantage of these sales. To do well in school, students must have all of the necessary supplies. Students can’t buy their own supplies, which means, at least to a certain extent, their success is dependent on their parents. Different teachers request different supplies, making it difficult to have all the right supplies. However, you can buy certain staples that will definitely be used when classes begin. 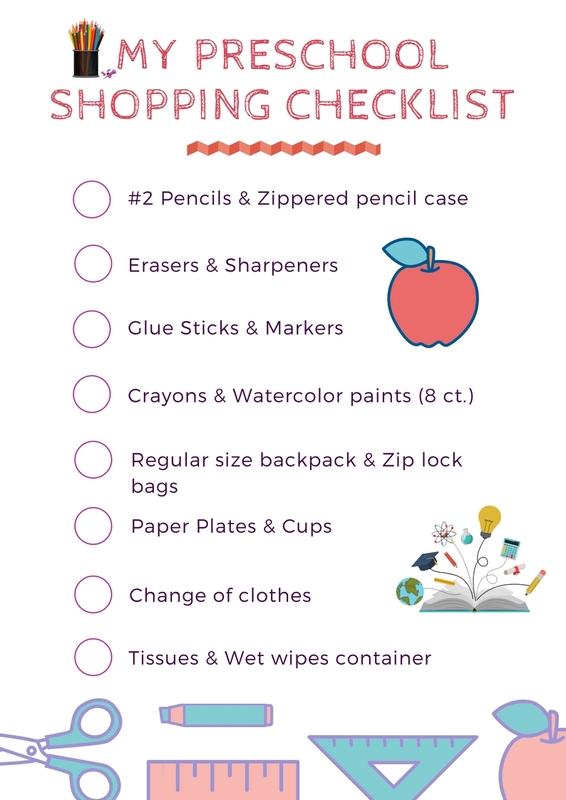 We’ve listed here school supplies needed for all grades to help parents and guardians ensure that their child has all the basic supplies needed to start school. There are some items, like pencils and paper, that every student needs, regardless of age. These items are no-brainers, but there are also certain items unique to specific stages of student life. Some of these items are listed below by grade. Please put Your child’s name or initials on ALL supplies. 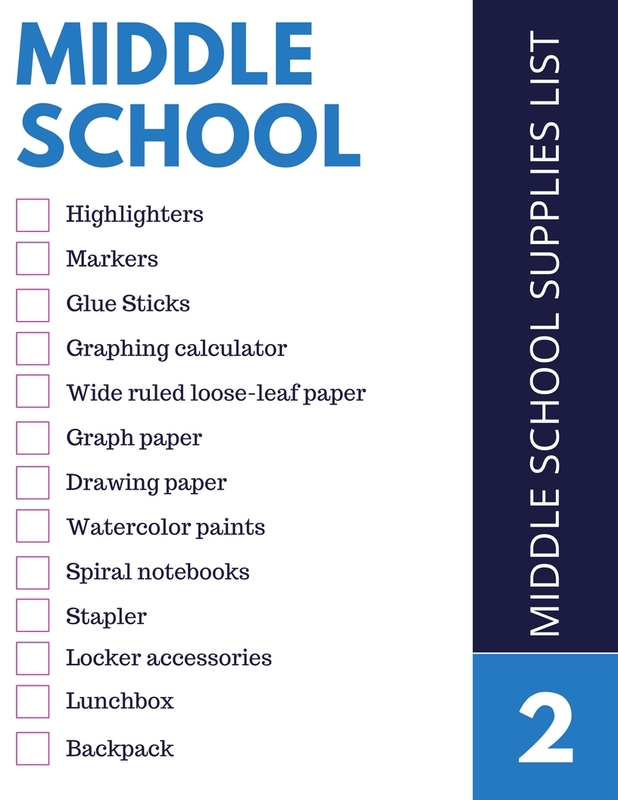 Note: High school supplies are not listed, as different subjects require their own sets of supplies. It is advised that High School students should carry a folder or binder, notebooks, wide-ruled loose-leaf paper, and, of course, writing utensils during their first week of school. All teachers generally provide students with list of required items by the end of the first week of school. Have any question about school supplies? We suggest you visit your school’s website or email your child’s class teacher. They will be able to guide you better. The back-to-school season brings a test of sorts for parents, who have to buy the supplies. They often have to make their budget stretch far enough to meet the needs of multiple children in multiple classes, and they must remain sane in the process. Before going any further, let’s address a serious issue. Some families are already struggling to make ends meet, and they flat out can’t afford school supplies. If that is your case, there is help available. The first source of help is the school itself. If you contact the main office of your child’s school, you’ll likely find that the school has a program to help families in need. In some cases, this is called SOS, or “sharing of supplies,” where all families are encouraged to donate extra supplies to be given to the less fortunate. In addition to the school, there are many charitable causes around the USA that host back-to-school drives. Even if you can afford to purchase your own supplies, you’ll want to save as much money as possible. Before you set foot in a store, take personal stock of the supplies you already have. Can a book bag make it through another semester? Do you have enough left-over pencils from last year to make a brand-new pack? To learn more about how you can save some cash during back-to-school sales, read on. Isn’t that how the song goes? Well, summer is dwindling away. This is probably the last thing a student wants to hear, but it’s the truth. It’s back to pencils. Back to books. What about the teacher’s dirty looks? One way to avoid annoying the teacher on the first day of school is to be prepared with all of the necessary supplies. Of course, young students can’t buy supplies on their own. That’s where the parents come in. School supply shopping can be just as much of a pesky chore for parents as going back to school can be for children. There’s a lot of confusion about how much to buy. The school might publish a general list, but what if your child’s teacher requires more specific items? If your children are with you when you go to purchase school supplies, you’ll find that they can be very picky. They want a certain type of pencil because it erases better. They don’t want that kind of notebook paper because it rips easily. They want this brand of markers because the colors are brighter. If your children are very young, they often prefer whatever brand of folder has their favorite characters plastered on the covered, which will always cost more. So, what should parents do? Read this guide to help make school supply shopping a stress-free endeavor. Supplies are very important. Your little student needs them to excel in school, but your child also needs clothes, lunch, tuition, transportation and a host of other more important expenses that come along when going to school. School supplies are not the expense you want to break the bank on, and unlike other fixed costs, such as transportation of school lunches, you can actually save money on school supplies. School supplies don’t have to be brand new. There is no expiration date on pencils or paper. Take inventory of the supplies you have in your home before purchasing anything new. Has your child used up all of their supplies from last year? If not, use up old supplies before you purchase more. You probably have extra supplies lying around your home, especially common supplies, like pencils. 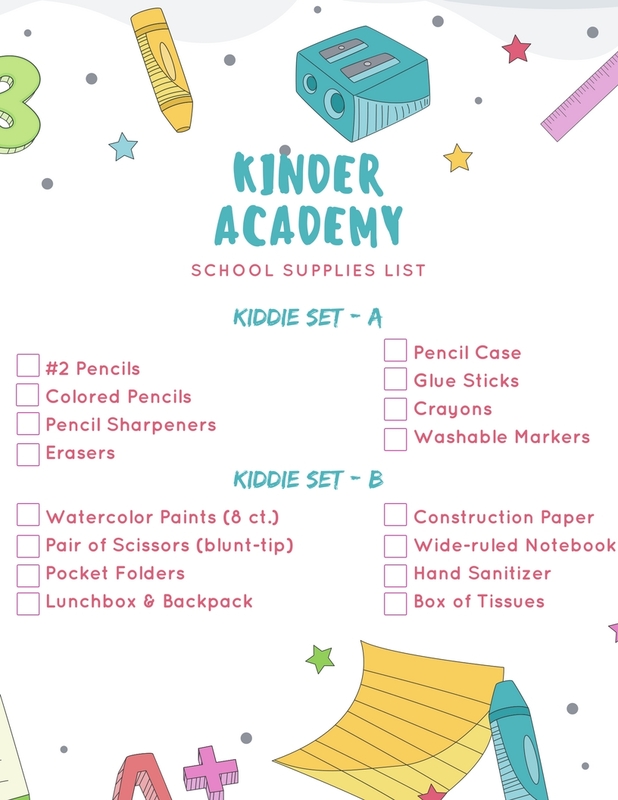 Why not send those supplies to school with your child rather than purchasing completely new supplies? If you don’t have any extra supplies at the home this year, here’s a long-term plan to be sure you have them next year. There are certain things that every student will need regardless of what grade they are in. 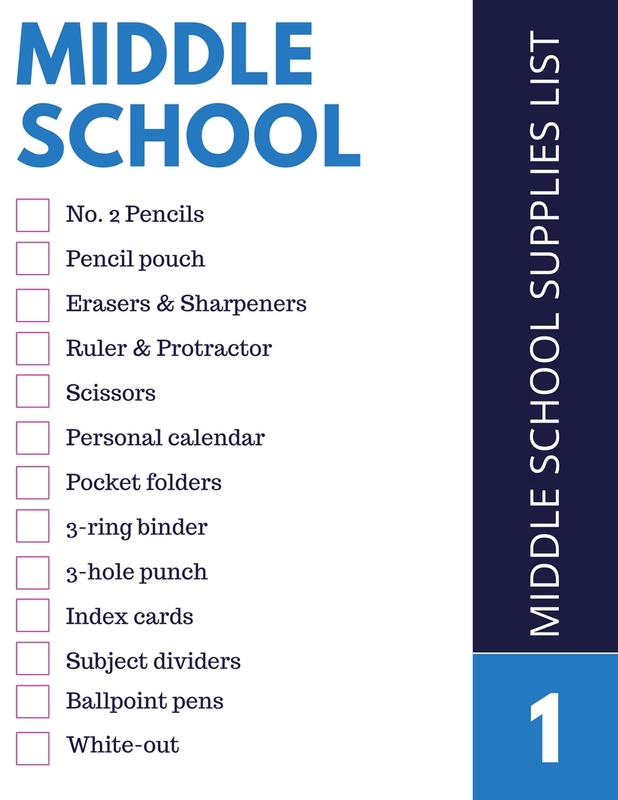 Pencils, notebooks, folders, paper, and binders are almost always going to be included on school supply lists. Office supply stores operate on the principles of supply and demand. Demand is highest for school supplies during the back-to-school season, so you might end up paying extra during that time of year. Keep an eye out for sales all year long. When common supply like pencils and notebook go on sale, stock up and save them for the next year. If you keep a close watch out for sales, you can stretch your dollars even further. One store might have a great sale on paper. Another store might have a great sale on calculators. No store will have a great sale on all of the supplies you need. If you choose to buy everything on your supply list from a single store, you’re going to overpay for a lot of items. Going to several stores for school supplies may seem like an unnecessary hassle to save a few dollars, but consider this: If you’re buying school supplies, new shoes, new clothes, and new electronics, aren’t you going to need to go to more than one store anyway? In your quests for everything needed for going back to school, you will likely pass, or at least come near, more than one office supply store. Plan your route to save you money. Also keep in mind that, while office supply stores are more likely to have school supplies, they are not the only stores that sell these items. Sometimes you can get deals on school supplies from unlikely places. There are endless benefits to watching out for good sales! If a sale is really, really good, you’re probably not the only one who has seen it. Sometimes items sell out, especially at office supply stores that sell supplies for less than a dollar! Plenty of big box department stores like Walmart and Target, accept competitor coupons. If one store is sold out, check around for other stores that will accept competitor coupons. Of course, you’ll have to save the sales papers and bring them with you. Keep in mind that Alaska, Delaware, Montana, New Hampshire and Oregon never charge sales tax. As you can see, along with the above 5 U.S. states without a statewide sales tax, only 17 of the 50 states participate in this event. If you don’t live in one of these states, it’s worth considering whether travelling to one to do your back-to-school shopping makes sense for your family. The savings may be worth the minor inconvenience, especially if you live within a short driving distance to one of these states. If your child wears uniforms to school, clothes shopping is a whole different ball game. While many parents sing the praises of uniforms because it adds simplicity to shopping for clothes, you should be aware that there’s still a potential to pay too much. You can find khaki pants and polo shirts in almost any store that sells clothing, so don’t limit yourself to uniform specific stores because they often have an extra markup on their prices. Do not buy all of clothes at the beginning of the year. Buy enough to get through the first semester, and then buy more later. This serves a twofold purpose. Believe it or not, dress codes can change rather frequently. Due to weather or other factors, your child may begin to be allowed to wear something midyear that would have been a dress code violation at the beginning of the year. After spending a year at a school, you will begin to know the school. Some dress codes are set in stone, but there are some that seem to change with every complaint made against it. The second reason for buying only a semester’s worth of clothes is that children grow way quicker than adults. By the middle of the school year, your child may have grown out of the clothes you purchased at the beginning of the year. Some parents buy clothes a little larger than their child’s size to combat this issue. At the very end of back to school season (late September, early October) retailers realize that the demand for their leftover back to school items is incredibly low and won’t get any higher until the next year, so they start selling things dirt cheap. Of course, there are some items that you will have to purchase at the beginning of the school year, but there are other items that you know your child won’t need until later on in the year. How do you know when your child will need the item? Some supplies are marked as first semester items and second semester items. Other times, you can see that some items are most likely to be used for specific projects rather than day-to-day classroom activities. If all else fails, you can simply ask your child’s teacher if there are any supplies that won’t be needed right away. Although it’s hugely beneficial, saving sales papers can be a real pain in the neck. Target makes the process a little bit simpler because the major retailer publishes coupons online that you can print out. Target is known for having plenty of back to school coupons, so it’s worth making that store one of your stops on your back to school shopping journey. As was mentioned earlier, it’s important to shop around. Major retailers, like Target, are definitely a great source for discounts, but don’t forget to visit a few office supply stores along the way. Since office supplies is all these stores sell, they are very likely to have insane deals on school supplies if you shop during their sales season. Why? These stores have a constant backlog of pencils, pens, paper, scissors, etc., and they bulk up their stock during the back to school season. Big box stores on the other hand, often place special orders of school supplies that they either don’t usually sell or don’t usually sell in large quantities. Since office supplies stores have copious amounts of school supplies on a regular basis, they can afford to offer even bigger discounts than the big box stores. Office supply stores are the most likely stores to have deals like colored pencils for a quarter, or notebooks for fifty cents. There is one caveat to the amazing deals that you can find at an office supply store. The deals are so good that everyone wants them, and these stores are notorious for selling out of their cheapest items pretty quickly. If this happens, your trusty friend “the sales paper” comes in handy. Lots of big box store honor coupons from competitors. Next to a fancy calculator that will be needed for algebra and calculus in high school, backpacks are probably the single most expensive item on a back to school supply list. Backpacks are another area in which you should shop around your house before you shop in the store. Although backpacks take a lot of wear and tear throughout the school year, there is a chance, slim as it may be, that last year’s backpack could still be in functional quality. Perhaps, you only need to wash the backpack to get it looking brand new. If you can avoid purchasing a new backpack, you have significantly reduced your total cost of back to school shopping. Perhaps the single most useful tip in purchasing a backpack is this: Never pay for a name. Paying for a name can include paying for a brand name or the name of a character or celebrity. A quality black backpack is a quality black backpack, but if that black backpack is made by Nike or Adidas, you’ll pay double the price for the very same function. Sometimes, popular brands like JanSport have good deals, like 50% off or 25% off. In these instances, it might be a better bargain to go with a name brand. Don’t skimp on quality. You might find a good deal on a quality backpack, but, in many instances, you get what you pay for. One brand that seems to be cheap but is of sufficient quality is Rockland. Rockland is also sold in most major retailers, and your kids will be happy because Rockland doesn’t look cheap. If a certain brand is always way, way cheaper than all the other brands, you might need to ask yourself why. Is it made of inferior products? Backpacks need to be extremely durable because students are going to test their strength all year long. Textbooks are very heavy, and students carry at least one of them home every day. It’s also not uncommon for students to further test the limits of their backpacks by stuffing jackets, lunchboxes, and instruments into their small compartments. As mentioned earlier, children are often very picky. They want the Frozen backpack and the BTS folder. They want Crayola crayons and Ticonderoga pencils for $6.99 each even though the Office Depot brand is only fifty cents. One of the best ways to avoid unnecessary stress is to leave your kids at home when you do your back to school shopping. If the children aren’t there, they can’t insist on their favorite brands. If you simply bring them what you bought, they are less likely to even have an opinion about the brand of pencil you buy than they would if they were in the store with you. Will your first grader really use 4 boxes of Kleenex in the first three months of the school year? Will your middle or high school child even need those four extra binders that are listed as second semester supplies until the second semester? The answer to both questions is obviously no. 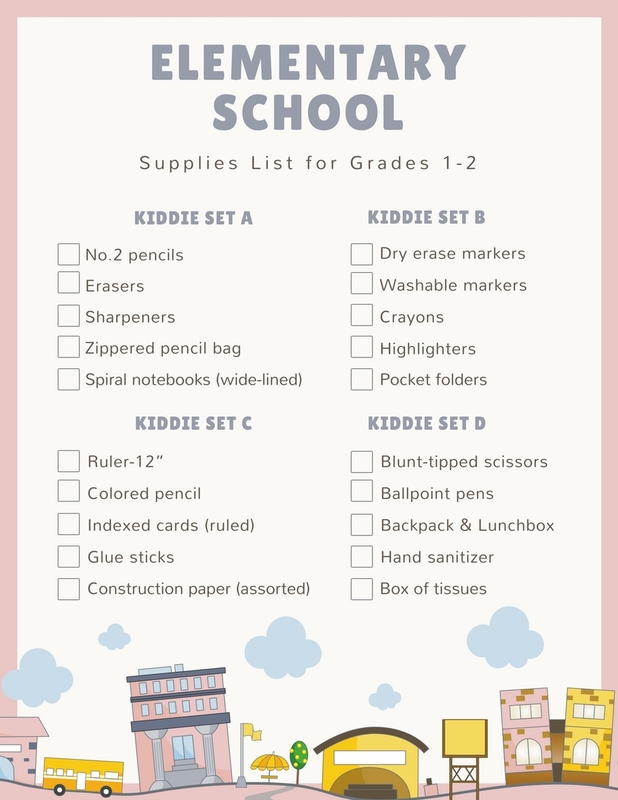 School supply lists, especially for younger grades, are often rather exorbitant. Sometimes, teachers ask parents to buy way more supplies than any student could ever use to help stock the class with extra items, such as tissues and hand sanitizer for other students to use. At times, teachers ask all parents to buy way more than what’s necessary so that there will be enough supplies on hand in the classroom to give to students whose families couldn’t afford to purchase supplies. While both of these efforts are very worthy causes, this still does not mean that you need to buy supplies in bulk at the beginning of the school year. If you’re worried doing so will make you seem like a stingy parent or a parent who doesn’t send their child to school with the right supplies, have a conversation with your child’s teacher. Let them know that you’d be more than willing to bring in more supplies as the year goes on, but you’d prefer to only purchase what is absolutely necessary when it becomes necessary. If the class needs more Kleenex in January, the teacher can contact you in January. Depending on the age of your child, this is also a great way to build responsibility and self-advocacy. If your children are old enough to recognize a need and speak up, they will let you know when supplies run out. Some of the items that are usually essential all year long are calendars, reusable water bottles, a backpack, a lunch box, and shoes. Children are going to get thirsty throughout the school day, and they won’t be able to take a trip to the water fountain as many times as they need to re-hydrate to stay healthy. Instead of continuously buying hundred of packs of bottled water throughout the school year, you can buy a reusable water bottle and a home water filter once. For a one-time cost, your child can have clean accessible water all year long. Packing lunch is another great way to save money, and be more health conscious, all year long. School supplies for college are a whole different ball game. The supplies are far more expensive, and you almost always need to buy the supplies on the list. You’ll never be asked to supply communal supplies for the whole class in college. Although college is expensive, there are still plenty of ways to save. If you have proof that you are a college student, you should never pay full price for electronics while you’re a student. Most of these retailers accept a college transcript or students identification card as proof, so you need to have one of those before you’re ready to make your purchase. Look for the Dell University section on its website to get student pricing on laptops and desktops. Have you ever wondered why so many public schools can afford iPads and MacBooks for the classroom? Apple has a special Apple Education Pricing section on its website where they offer reduced prices for gadgets like iPad and Macbook. Apple extends these deals to anyone who can prove that they are a college student. If you want to go to a store, Best Buy has deals specifically for college students. For some laptops, students can get up to $150 off the retail price. To see the most up to date list of current deals being offered, go to the Best Buy’s College Student Deals page. If you ask an employee at your on-campus bookstore, you’ll be given the impression that you will absolutely be at a disadvantage if you purchase your books anywhere else. You’ll be told that your professor recommends all students purchase books from the bookstore. There are very rare cases where this is actually true. In some instances, a school will order their own special edition of a textbook that might include different chapters than the normal textbook would. To find out if this is your case, ask your professor. The professor does not benefit if you purchase the book from the campus bookstore, so the professor is a great source for the truth. If there is no special edition of a textbook for your school, you can usually find the book much cheaper online. Make sure you’re purchasing the right edition of the textbook because most textbooks have several editions. Be mindful of whether or not your textbook comes with an online code. If you need an online code with your textbook, you must purchase it new, and you must be sure that the version you are buying includes a code. Can You Rent Your Books? Is it absolutely necessary for you to purchase your books? Depending on your degree program, you might need your textbooks from each semester until you graduate. If that’s not your situation, consider renting your books. When you rent, you pay a fraction of the cost of the book, but you must return the book in good condition. Some great online sources for buying or renting textbooks are Amazon, Google Play Store, Chegg, eBay, and Book Finder. One of the perks of being a college student is that you can get a student discount. There are plenty of national chains, local stores and restaurants that offer student discounts. Sports teams have even been known to sell student tickets at a discount. To take advantage of these great deals, you’ll need a valid student ID card, so make sure yours is renewed and stayed with you constantly. This tip applies during the back to school season and beyond. Most college students are not simply going to school. Many are living on campus or at least living away from mom and dad for the first time. College students also juggle work, school, internships, extracurricular, and volunteer opportunities at the same time. College students have a huge need that younger students don’t necessarily have, and that need is organization. If it can keep you sane, it’s worth, spending a little extra on a desk calendar, a personal planner, and closet and desk organizers. You may also need to buy more expensive clothes, hardier lunchboxes, and more expensive book bag (because you’re carrying a computer and books that are much heavier) for college. College students have a unique set of needs, but many of them are also strapped for cash. This creates a reason to carefully identify needs and wants. Reserve funds for the things you absolutely need and buy some of the things you want if there is money left over. All of the tips above, such as keeping track of sales papers, are absolutely applicable to shopping for college. Whether it’s first day of kindergarten or first day of college, here are a few more tips that can help you without breaking your bank. Set a budget. You will always overspend if you don’t have a goal in mind. If either your credit card company or the store offers special deals or cashback incentives, use a credit card for back to school purchases. Make every dollar count! Many stores offer deals for customers who order online and pick up in the store. If stores near you offer these savings, take advantage of them. When comparing prices, consider using online resources, such as Google or ShopSaavy to check on prices rather than wasting gas going from store to store. If you can find a group of friends or family with similar needs, consider making back to school shopping a group effort. Sometimes buying in bulk can result in savings for all. For this to be truly beneficial to all involved, you need to have a budget, a well thought out plan, and an agreement of exactly how much each person will contribute. Written agreements are best to avoid any discrepancies. Especially for more expensive purchases, like electronics and calculators, make sure there is a return policy and you know the length of it. Don’t open these items until you are sure you are going to keep them. This allows you to keep on looking for better deals even after you’ve made your initial purchases. We strongly recommend reusing school supplies when possible. We hope that our Back-to-School Shopping guide will help you save time, money and hassle.